What is The Meaning of ZEN? 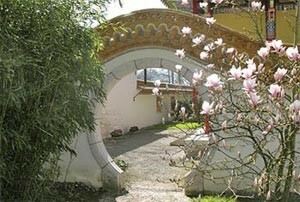 - China Restaurant ZEN in Adliswil, near Zurich. Famous for Peking duck and authentic Hong Kong style dim sum with organic ingredient and vegetarian menus. “ZEN”, a peaceful paradise where you can relax and enjoy the delicacies we offer. The name implies meditation, relaxation, and harmony – qualities, which are part of the restaurant’s concept. 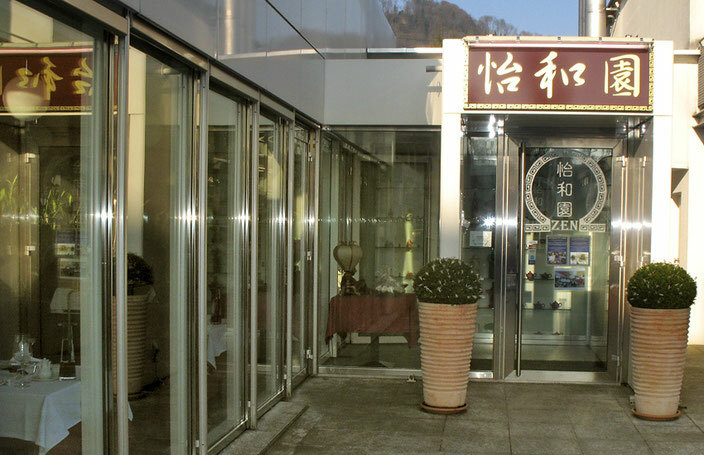 Those with a gift for languages may, of course, use the second, Chinese name of the restaurant: 怡和園 "Yi He Yuen" - happy, harmonious garden. You enter the garden of pleasure through the so-called moon-gate. Its curved form symbolises abundance and harmony.